I am a total sucker for bags: between duffels, suitcases, technical backpacks and messenger bags, I could probably pack up my entire life in 20-liter increments. Boreas’s new modular bag set could help me with my problem. Boreas is a San Francisco-based company that’s been building a reputation for simple, good-value bags. The limited-edition Outlier is a slight departure from that formula: for $500, you get two bags, a backpack harness, and a shoulder strap. 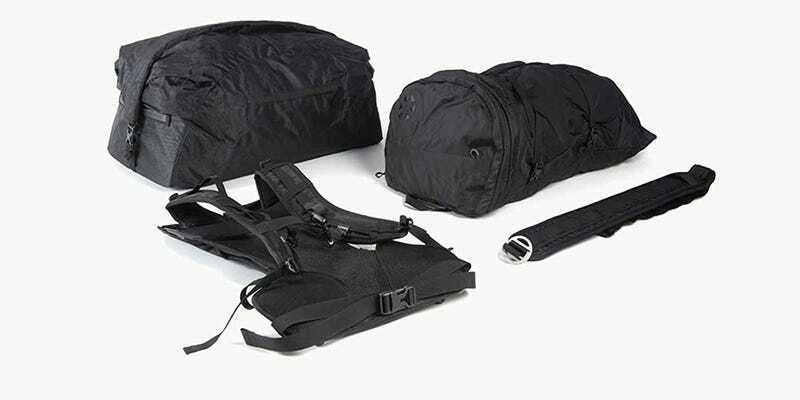 The idea is that it’s a modular set of bags that fulfils all your travel needs: for bigger jobs, you use the duffle, and then pull out the daypack (and transfer the straps) when you get to your destination. It’s a clever setup, because the load-carrying mechanism of a real backpack is horribly bulky, and doesn’t pack well: I often fill half of my duffel bag with the daypack I’m planning on using. The bags look like Boreas’s usual recipe: good materials, and a simple roll-top design should make for a lightweight, durable bag with minimal stuff to break. I’m normally hesitant about gimmicky modular bag systems adding unnecessary weight and complexity, but this design might just be onto something.